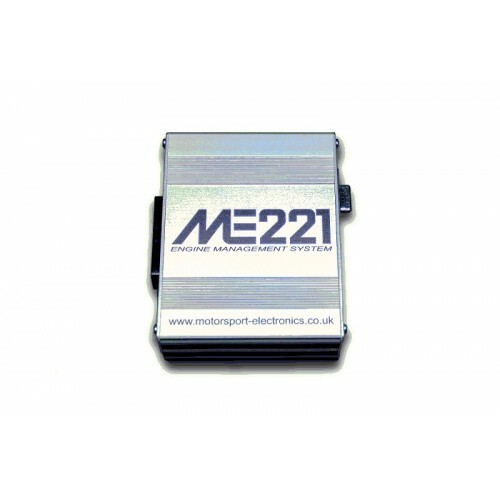 The ME221 is the latest engine management system from Motorsport Electronics and available from us here at danST Engineering. 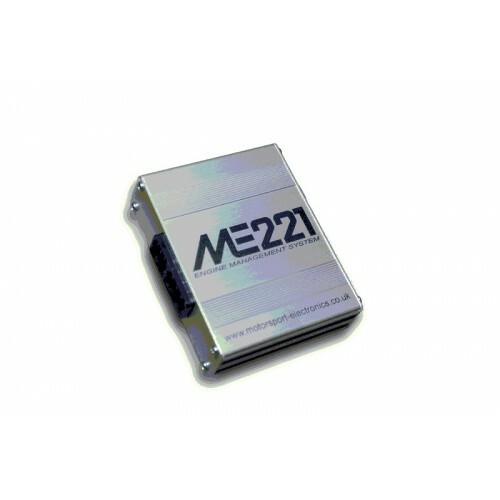 We are pleased to now to be offering the ME221 Wire-In ECU with direct fit ‘Plug and Play’ looms for the Ford Zetec & ST170 engines. As the core of our PnP EMS range, the ME221 has taken the UK by storm, particularly in the MX5 market - and after 24 months of real world usage by real world customers, we can now offer the system in a new, universal form factor, suited for accurate, reliable, and fully-sequential control of four-cylinder petrol injection engines. This version includes a professionally made ‘click and go’ loom for the Ford Zetec Silvertop/Blacktop engines. We even supply with the ECU dyno developed maps for both the OEM inlet and also throttle bodies and turbo applications. This ECU is ideal for use with our popular bike throttle body kits. Designed for fully sequential control of four cylinder engines, as well as forming an integral core to the range of ME221 based PnP ECUs, it is a feature packed ECU, in a compact, reliable and affordable form factor. 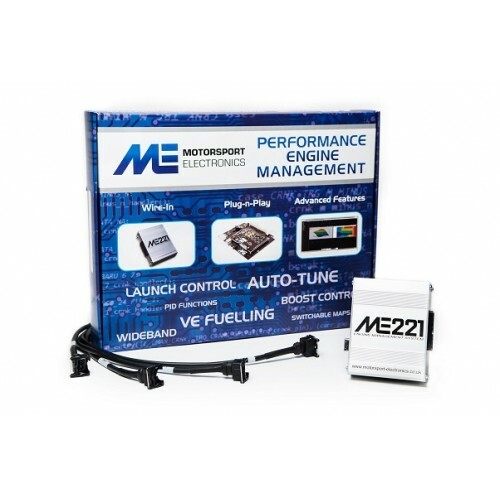 The ME221 uses the same high accuracy Position Timing Module Core and the powerful proprietary tuning software (Motorsport Electronics Integrated Tuning Environment, or MEITE) as developed for control of a unique Le Mans engine. With support for a range of OEM sensors and trigger patterns, as well as being versatile enough to offer flexibility where it’s needed - including often ‘expensive’ features such as Fully Sequential fuel control, Flex-Fuel, Closed Loop Boost & VVT as well as Windowed DSP Knock Control through to core features such as programmable inputs, custom tuneable sensor tables and full 3D mapping, the ME221 really blurs the line between lower priced and higher featured engine management systems. 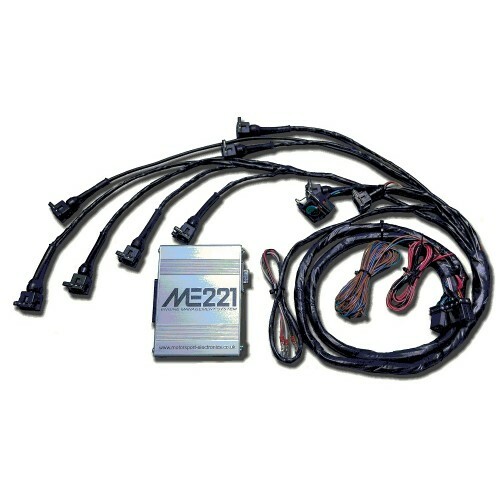 This system includes the ME221 ECU, Zetec Wiring Loom, RS232 Tuning Cable & Quick Start Sheet. The ECU requires inputs from a crank sensor (36-1 or 60-2 pattern) Therefore if your engine is not equipped with a sensor you will need to mount a suitable sensor and trigger wheel on your front pulley. The ECU also requires inputs from air and water temperature sensors. If your laptop is not equipped with an old style RS232 port you will need a genuine FTDI serial adapter cable if you wish to connect to the ECU. Note: As with all after-market engine management systems (ECU’s) a dyno tuning is recommended to avoid damaging your engine and to get the most out of your engine. A full range of basemaps are available online from danST engineering or Motorsport Electronics.